Summer is here and that means road trips! Day trips! Exploring this great state of ours with its interesting nooks and crannies! You know, there is always one Big Kahuna of a question when out-and-about (besides, of course, “Where is there a good public restroom?”) and that would be: ”Where can we eat??!”. Aaaaannnd the answer goes on to get a bit more complicated when there’s a vegetarian or vegan in your traveling band of explorers. But thankfully, we have you and your veggie-eaters covered. Great spots all over the state to dine in a delightfully meat-free fashion. Many of these eateries even cater to gluten-free diners, too. Check the websites ahead of your travel time and you are good to go! Be off, young men and women! p.s.-You might be interested in taking a detour through Hamden on July 23rd for their Compassion Fest. It’s a gathering to promote the ideas of kindness, equity, and compassion AND there will be lots of vegan food there. 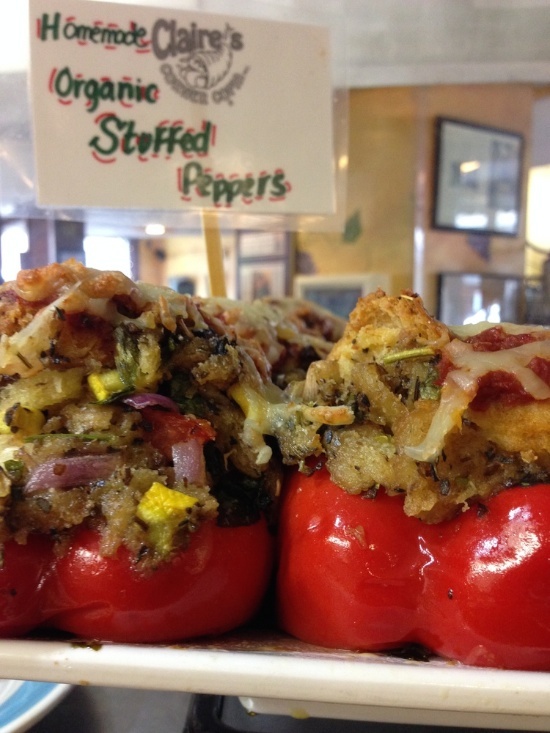 Here are 16 delicious vegetarian & vegan Restaurants in CT. This vegan salad, fresh-pressed juice and smoothie bar will soon be open for healthy breakfasts, lunches, dinners, and snacks. All ingredients are pure, organic, local, sustainable and make up such tasty delights as their veggie burgers, veggie gyros, pulled-pork (with Jackfruit - thought you caught them not being vegan, didn’t you? ), and vegan pizza with kamut flour. 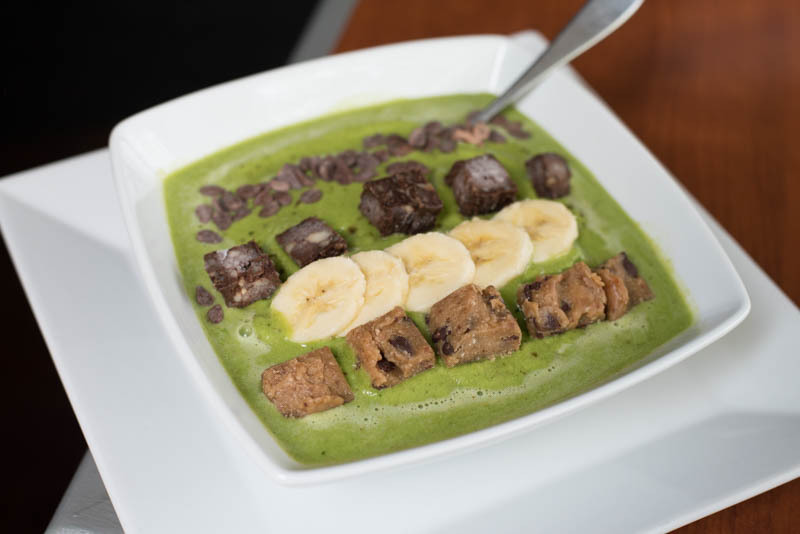 Their raw treats and desserts that are made only with unrefined sugars and flours and house-made granola, almond milk, Acai bowls, and Tofu Scramble Wraps will get your day off to a great start. Want a hearty but healthy lunch or dinner? Try their salads (maybe add quinoa, lentils, roasted butternut squash?) or Italian “meatballs” and baked sweet potato fries. Need a good snack for the kids who are getting antsy? Introduce them to dehydrated veggies! Adios goldfish. The Stand Juice Company is the real deal. Produce and other ingredients are sourced locally and are the products of close relationships to the many local farmers and artisans throughout Connecticut. Hideaway Farm, The Stand’s 15-acre farm on the banks of the Connecticut River, is a working organic and sustainable farm. It is also a zero-waste, no-dig farm that uses the pulp and scrap produce from The Stand Juice Company to feed its herd of rescued farm animals. The animals’ manure provides nutrient rich top soil for the fruits and vegetables the farm grows for The Stand Juice Company and other restaurants throughout Connecticut. 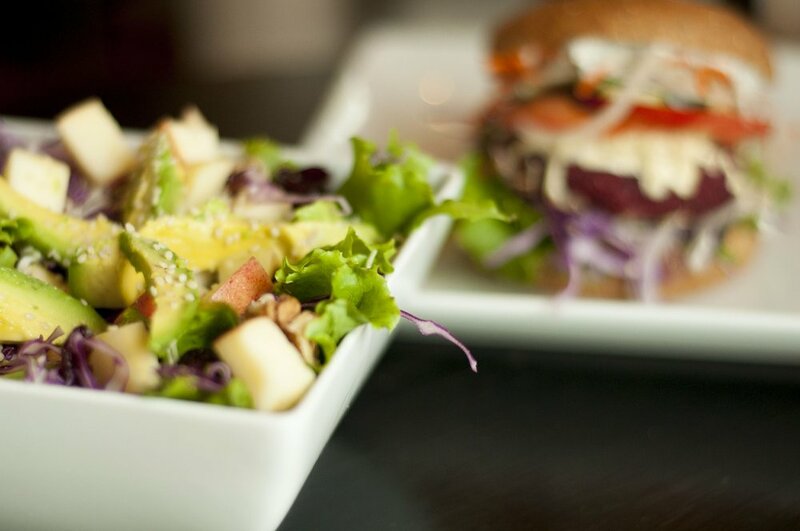 With a healthy outlook and appreciation for the land, The Stand is thrilled to provide organic plant-based foods, such as snacks, “sammies” and “leafies” (that’s a salad to you and me) and a myriad of juices to people who have already, or have the desire to start incorporating healthy eating into their lifestyle. 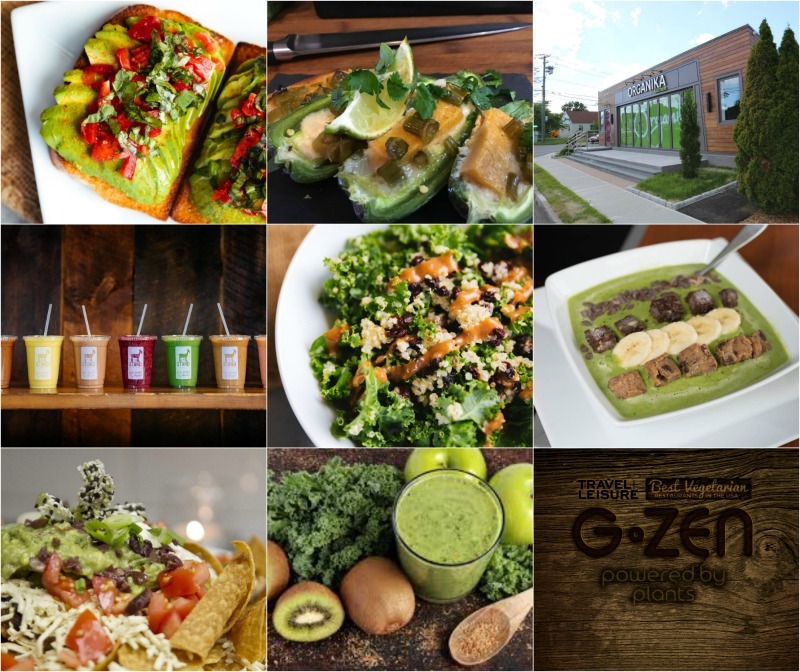 G-Zen in Branford, CT is the CT Shoreline’s premiere 100% plant-based, vegan restaurant. It represents the vision of Master Chef Mark Shadle and Chef Ami Beach, who have been proponents of a sustainable & vegan lifestyle for more than 20 years and believe that the most important element is organic, seasonal, local food prepared in a flavorful, balanced way. 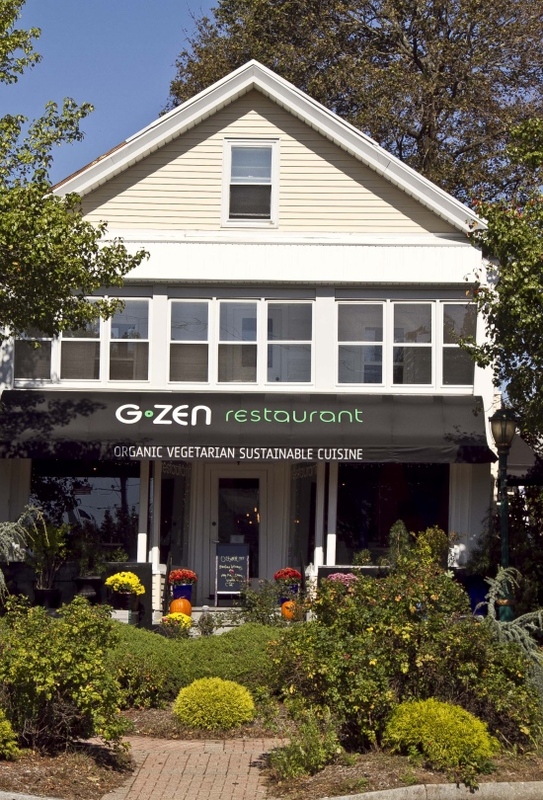 G-zen was named one of the Top Ten Vegan restaurants in America by Travel + Leisure magazine and became Connecticut’s First Certified organic restaurant. The restaurant was awarded the “GREEN PLATE” Award by Natures Conservancy as CT’s most sustainable restaurant. Executive Chef Mark Shadle is one of the most celebrated vegan chefs working today and a pioneer of organic, environmentally-conscious cuisine both locally and internationally. The restaurant sources many of its own organic ingredients from their own farm called Shadle Farm in Durham CT, making it a unique restaurant that offers “Seed to Table” cuisine from their own organic farm. They offer full service dining and take-out and also have an organic beer & wine menu. Also, don’t miss their award-winning food truck called Gmonkey Mobile! 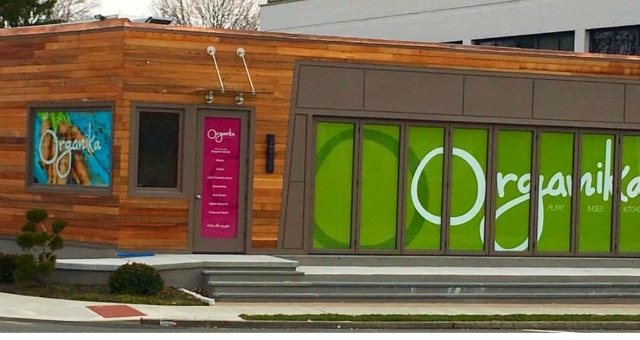 21 OAK is Edible Connecticut™: fresh and natural plant-based cuisine. They prepare seasonal, vegetarian, and vegan meals, using locally sourced ingredients that focus on nutritional, well-balanced meals with distinct flavors that come through in clear, vibrant tastes. Chef Shawn Dickensheets is a Certified Executive Chef through the American Culinary Federation and has been working in restaurants for over 35 years. Before opening 21 OAK, Chef Shawn developed his vegetarian and vegan palette through a series of spectacular pop-up dinners in the Manchester region that received rave reviews. This delicious food is now available on a daily basis for the whole community! 21 OAK's vision encompasses more than just nutritious and well-balanced meals: green and sustainable business practices are part of that vision. 21 OAK seeks to not only promote sustainable farming practices, but sustainable living practices as well. 21 OAK and Chef Shawn are committed to improving the community and environment they live in by supporting local farmers and businesses in the Connecticut region. Heirloom varieties picked at their freshest produce exquisite meals that are served in their modest surroundings-the focus is on food, friends, and fellowship. This is a Plant-Based Cuisine for everyone. Be sure to check out their FB page for daily specials. For almost 40 years, this feminist bookstore-and-cafe has been serving up organic, seasonal, ethnic, ever-changing menus. “Be prepared for pleasant surprises”, the listing says...ok, we’ll go for it. We love surprises. 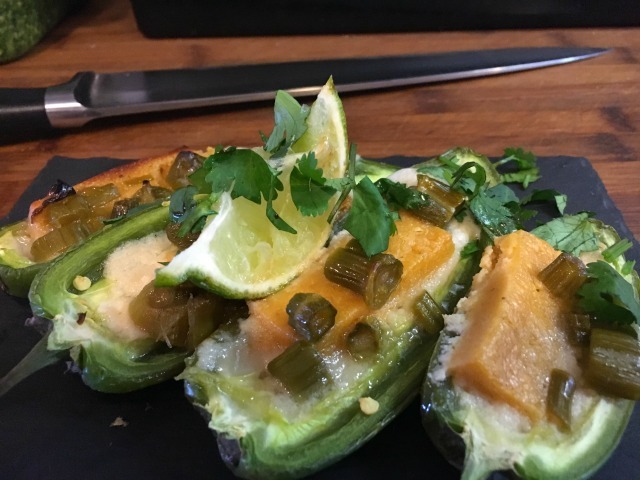 With an intriguing vegan and vegetarian menu offering items such as Chinese bean curd rolls, Shittake quiche, Mulligatawny soup, and decadent yet homey desserts customers are continually satisfied. Lunch, dinner and brunch are served, along with a wine and beer list, some of which being organic. All have been selected for a taste that is unique and memorable...just like the restaurant itself. Raw, vegan, gluten-free options and all super-healthy...catch it if you can! Head here for “pizza” with almond, olive and tomato crust and cashew cheese or “lasagna” with zucchini pasta and “tacos” in Romaine shells.  Are you getting the picture? 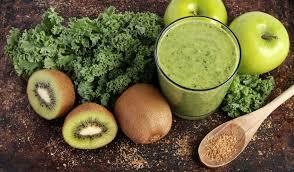 Smoothies, juices, raw desserts, salads and soups round out this extensive and raw-tastic menu. Since 1975, Claire’s began bringing “real” food to lots of people with a big side dish of love and has been going strong ever since. They are Certified Kosher, with a long list of environmental initiatives from their lighting, BPA-free plastics, and even a low-water use dishwasher. They see the big picture over here at Claire’s. Serving breakfast, lunch, drinks and desserts, soups, salads, Mexican entrees, flat bread pizzas, and delectable desserts that are dairy free, vegan, gluten-free. This is the place for ethnic vegan foods! Jamaican, African, Indian and raw foods that all contain “food passion” as the main ingredient, so say the owners. Open for lunch and dinner, their creations are all made from organic, non-GMO plants...think samosas, African potatoes, Jerk tofu.They’ve even got vegan ice cream (I scream! ), cupcakes, and muffins as well as a variety of soy-free, nut-free and gluten free options on their menus. Oodles of grab-and-go foods for breakfast, lunch and snacks all with “dynamic ingredients while keeping the bad stuff out.” Soups (7 Veggie with quinoa...), salads (cauliflower caesar...), wraps (sunflower seed tuna wrap...), cereal bowls (Acai bowl...), cold pressed juices, superfood smoothies, falafel snack packs, granolas, “anytime cookies”...the list goes on and on and you are sure to enjoy it all. 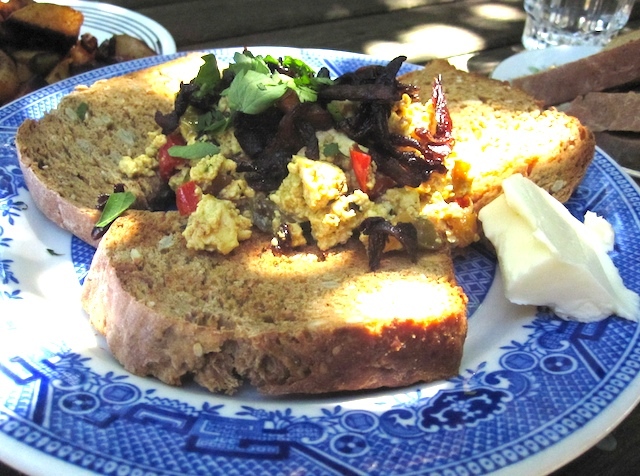 An organic cafe and juice bar in the Quiet Corner of CT. Using as much locally sourced produce and products as possible and organic and non-GMOs ingredients, their breakfasts, lunches and snacks are varied and hearty. All items on their menu begin as vegan recipes and anything can be ordered gluten-free. They list daily specials on their website, a chalkboard in the cafe highlights area farms that provide daily produce, and hey, grab me a gluten-free, vegan almond butter cup when you go. 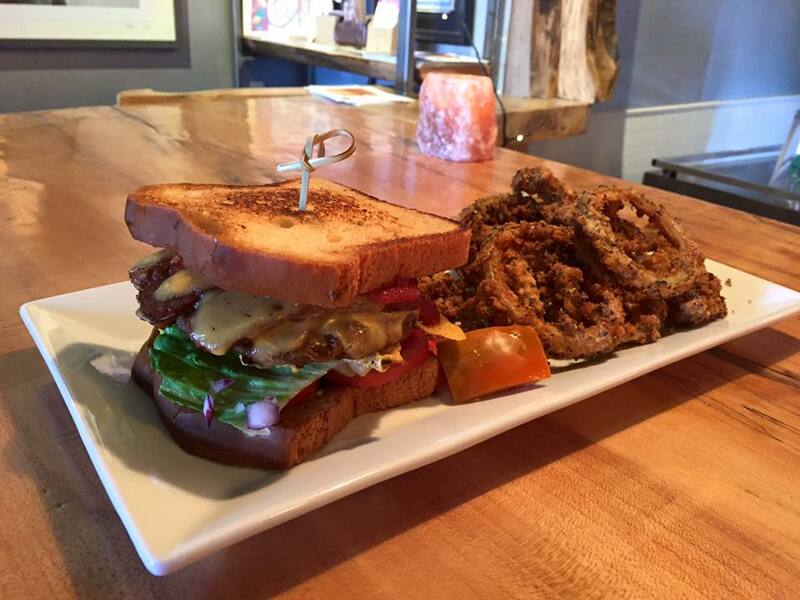 Lunch, dinner, drinks, and desserts at this vegan mainstay in Middletown! Southern fried tofu, garlic risotto (save kissing for another night), potato & spinach pierogis, tofu-veggie marsala, black bean chili, buffalo tofu wrap, tempeh crab cakes...phew! I need a drink...wait, they also have organic cocktails (Middletown Mule, anyone? ), wines, Prosecco. Dinner is complete! 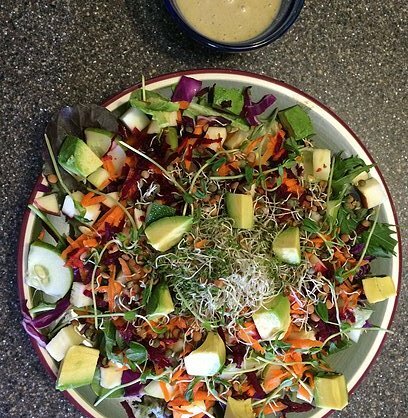 Organic, fresh, and vegan...just keep adding in the good stuff, as the folks at Pure Alchemy say! You’ll be able to power your road trip with any number of dairy-free, refined sugar-free, gluten-free and Paleo options that are available on this exciting menu. 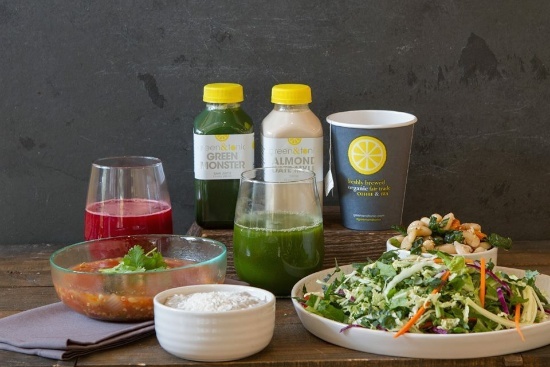 Offering plenty of fresh smoothies, juices, salads, wraps, “burgers (veggie nut)”, bowls, and desserts, you’ll be getting to know menu-players like kimchi, hemp seed, chaga, wheat grass and turmeric too. 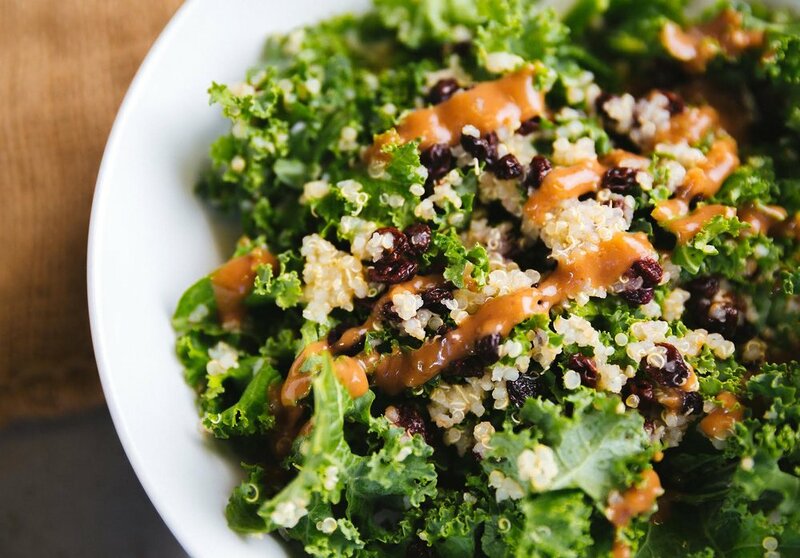 Sustainable, locally sourced, organic foods are the star at this plant-based cafe. Simple snacks to take on the road (goodbye oily chips), and enjoy hearty “bowls” like the Buddha (bok choy, quinoa, scallions) and the Monk (kale, rice, tempeh), “Calm Chowder”, sun seed burgers with gluten-free rolls, and salads galore. “Healthy eating made easy”...we like that, especially while traveling! 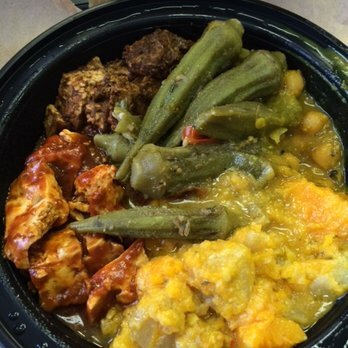 Try this spot for Caribbean and Jamaican vegan and vegetarian food served cafeteria-style. Choose your sides and mains and load up your plates at this inexpensive, little place-keep an eye out, some folks drive right by it! 100% vegan, gluten-free, organic/non-GMO, soy & peanut free. Lots of grab-and-go foods here and 100% vegan, gluten-free, organic/non-GMO, soy & peanut-free options abound. Try made-to-order sandwiches, Zoodles, Mac No Cheese, veggie Cottage Pie, Red Rutabaga Lasagna, layered salads, pizza with vegan cheese, bean chili, and soups of the day...then top it off with a “Sweetie”, a mini cupcakes, or a Sweet Nothing Cookie Dough Ball. As you fly down I-95, veer off in New Haven and find an array of vegan and gluten-free options, along with “VH & H”-very hot & hot (a category unto itself apparently) at Thali Too. Naanini pressed sandwiches, soups, salads, Between the Buns (they said it, not me) sandwiches, flat breads (i.e. the Paradise: roasted eggplant, artichoke hearts and portobello mushroom), Kathi Roti wraps served with mint and tamarind chutney...is your mouth watering yet? Indian vegetarian! Lentil donuts dipped in yogurt (why yes, please), Dosas, Uthappams (Indian-style pancakes), Pullav (rice dishes), curries, lassies It’s quite the list that keeps going. Quality food, affordable prices, take-out or dine in. Note - it’s cafeteria style, paper plates and no frills.